The display pallets as a shipping container and product display unit. Of the wide range of pallet sizes the display pallet is particularly often used in the food industry. The display pallet is a specially made pallet with dimensions of 600 x 800 mm (half pallet), 400 x 600 mm (quarter pallet), 800 x 800 mm or 800 x 400 mm, which, aside from their transport function, are also used for merchandise presentation in retail. 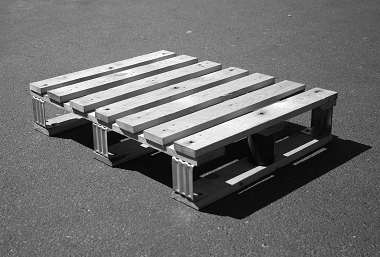 Display pallets are therefore defined not by their design, but only by their intended use. 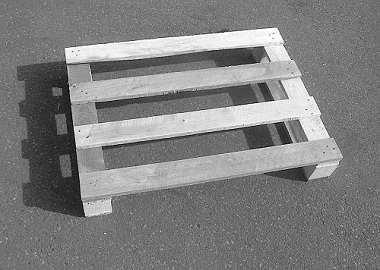 We manufacture display pallets in various designs, so that they are accessible by a pallet jack from two or four sides. We can provide you with so-called Dusseldorf pallets (UIC Standard 435-3), which are used as exchangeable between industry and retail. The Dusseldorf palette is a product of cooperative development by food and trade industries and can be exchanged by the shipping company. The Dusseldorf pallet is a very stable one and, as opposed to various display pallets, can be accessed by a forklift or a pallet jack from all sides. 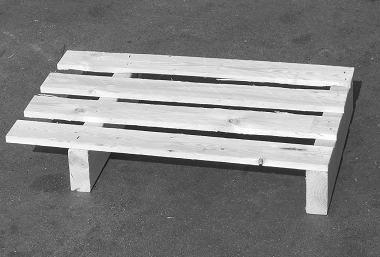 We constantly have a wide selection of ready-made display pallets in stock, so a rapid delivery can take place. Simply call us or fill out our online online form and we will contact you shortly after.